Born in Brooklyn, Zachary was raised on Long Island and studied philosophy at the University of Albany. He moved to northern California in 1978, where he joined the last staff of the Berkeley Barb, a dissenting weekly, and later was a reporter and columnist at the Santa Barbara News & Review, a worker-owned weekly. He also worked as a writer and editor for Williamette Week (Portland, Ore.), the San Jose Mercury News and Time Inc.’s Business 2.0 magazine. Over 25 years, he has published articles in many newspapers, magazines and journals, including Foreign Policy, Fortune, In These Times, Mother Jones, Project Syndicate, The New Republic, Wilson Quarterly and Wired. 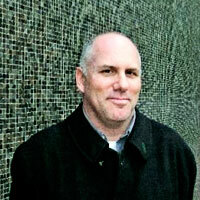 Zachary contributed a column on technological change to The New York Times in 2007 and 2008. He is the author of four books, including Endless Frontier: Vannevar Bush, Engineer of the American Century (1997). He is currently working on a book about the new science of physical surveillance.